After watching countless of 2015 favourite videos, I thought that I should share my own! 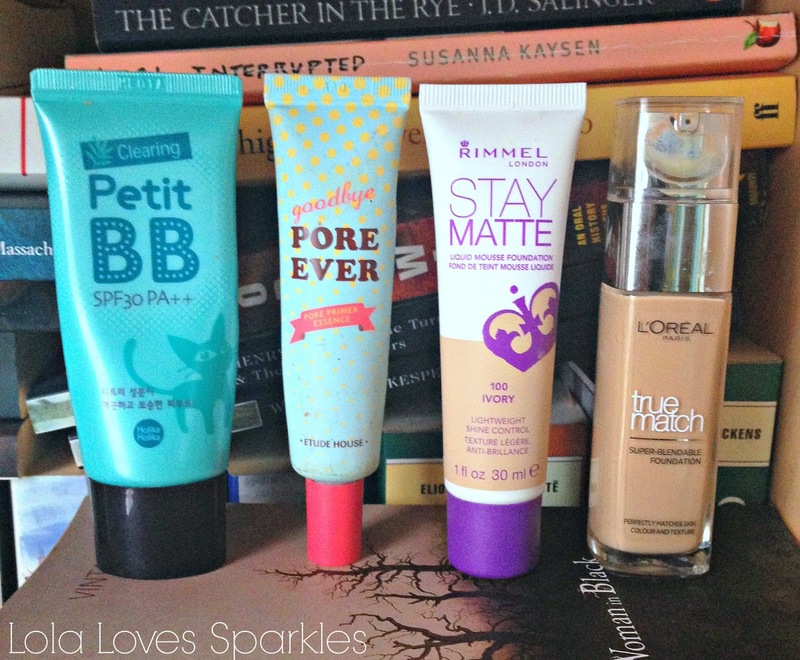 Holika Holika Clearing Petit BB Cream: This Korean BB cream comes in 4 different types, and it is one of the best products for oily/combination skins [it works for me!] Love the price, the packaging, the product. I've reviewed this back in 2013 [read it HERE] and you can get yours from HERE. Rimmel Stay Matte Liquid Mousse Foundation: One of my makeup staples - I've bought this countless of times. Love the coverage, the finish, and the price! Read my full review HERE. 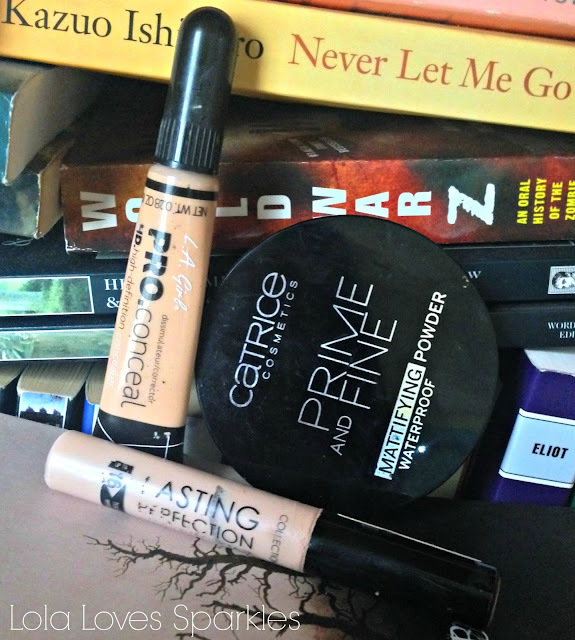 Collection Lasting Perfection Concealer: Another amazing drugstore concealer which unfortunately isn't available in Malta. So I either get it through send on, or when I'm over in the UK [or if somebody I know is over there]. Love the finish, love the consistency, I really WISH this was available locally! Sleek Trio of Blushers in 'Pink Sprint': One of my favourite things to collect is blushers - I never go out of the house without having any on. My most used blush in 2015 is undoubtedly this trio by Sleek. 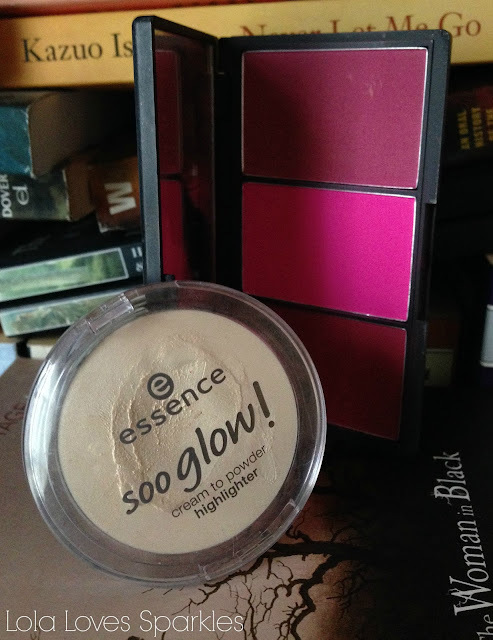 Love the pink tones, super highly pigmented [use with caution!] use each shade separately or mix them to get your own custom shade. Check out my review HERE. Essence Lash Princess Mascara [the Green Version]: I LOVE both versions of this mascara [both the green pictured here, and the peach] It gives such a nice effect to my lashes: longer and fuller. It also doesn't take a long time to dry, and does not smudge or budge. And for the price ... Wow. Definitely try this one out girls! 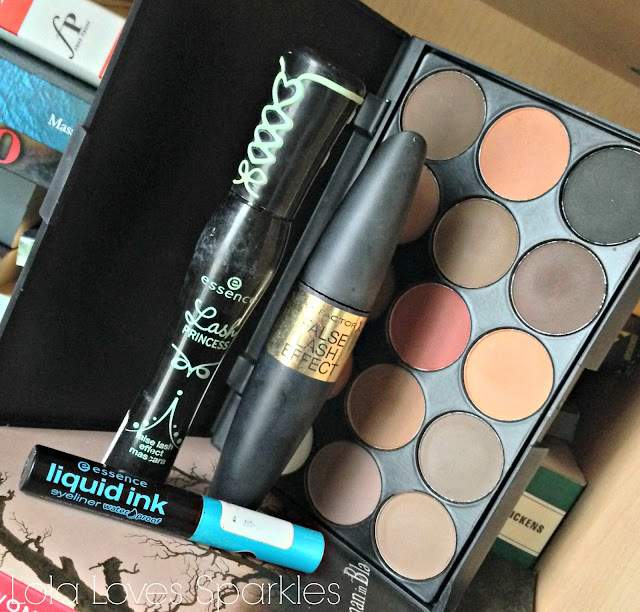 Essence Liquid Ink Eyeliner in Waterproof: What an amazing liquid eyeliner! The colour payoff, the longevity, the price, the brush. 10/10 from my behalf. 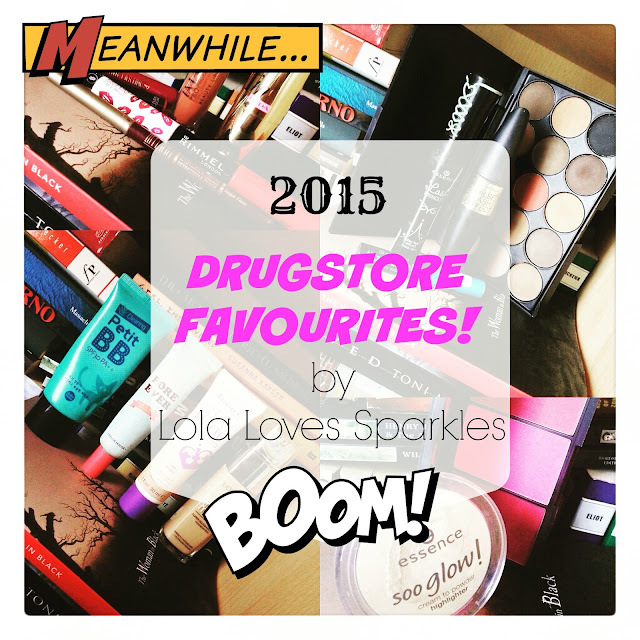 I've heard that this is going to be discontinued though ... must stock up! I have kept 2 empty tubes because I love the brush so much. Catrice Eye Brow Pencil: My most loved eye brow pencil of 2015 [and last year's too!] 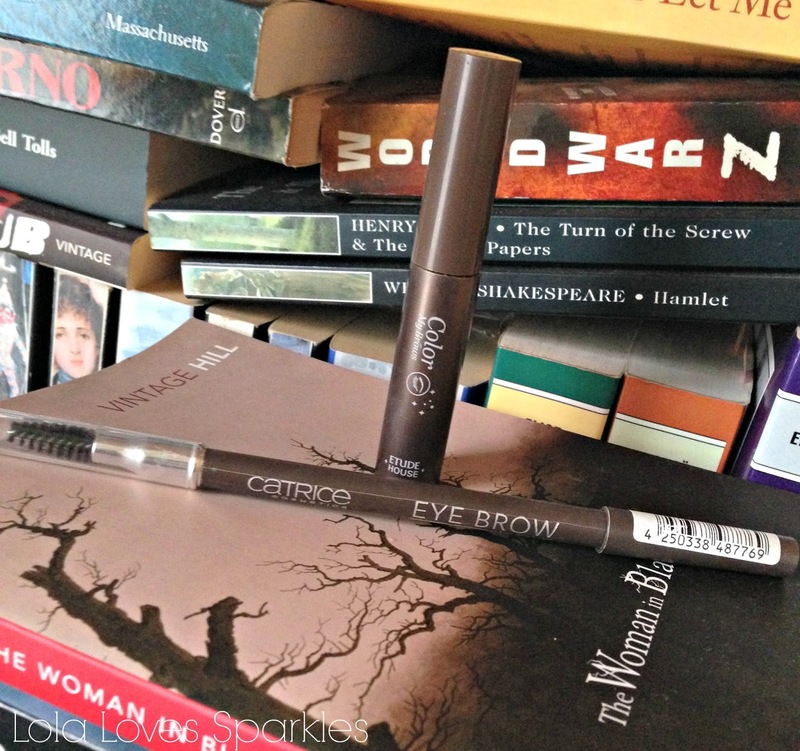 I've re-purchased this a number of times: lovely pigmentation, it's a good shade for my brows, stays on throughout the day, awesome price. 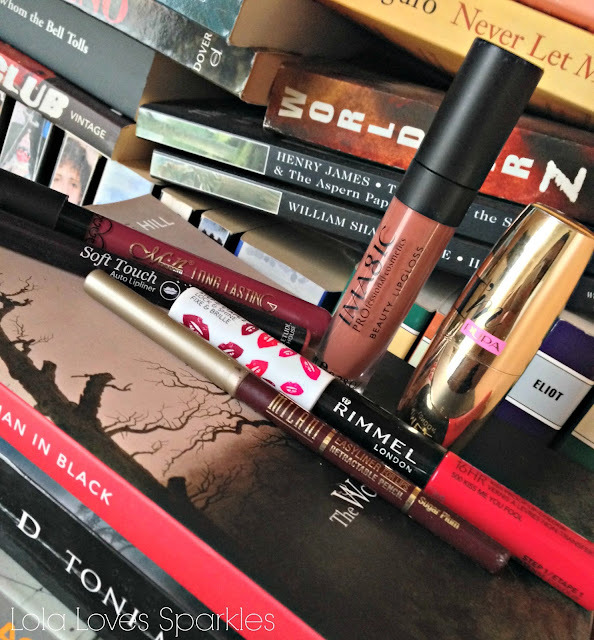 2015 has undoubtedly been the year of the liquid lipsticks. Everyone and their mother came out with their versions: from high to low end. from Sephora to Ebay. Rimmel London Apocalips: Another liquid lipstick, but this one comes with a gloss/balm on the other end. Really amazing pigmentation, does not dry out the lips, super staying power. The only downside to these is that there aren't many shades [around 6 I believe]. If you want to try out liquid lipsticks but you prefer having a gloss applicator because you suffer from super dry lips, go for this one. Milani Easy Liner in Sugar Plum: Ever since Carly Bybel talked about this shade, I was sold! Love the fact that you don't have to sharpen this, love the smooth application, love the color payoff. This shade is truly an amazing one - and perfect for Autumn and Winter! I use this dark shade both with vampy lip colours, reds and dark pinks for a subtle, ombre look. Today's post is all about my favourite budget friendly hair care line | treatments | masque: the L'Oreal Professional Line. I mostly use the three pictured above: the Sealing Repair Lipidium, the Absolut Repair Lipidium, and the Intense Repair Cuti Liss System. I get mine off Look Fanstastic - they have worldwide free shipping, and most of the time they have some offer going on. 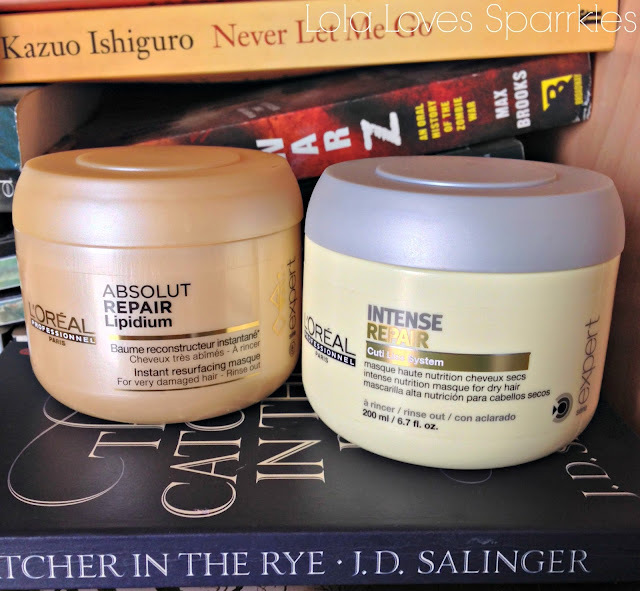 These two are my holy grail budget friendly hair treatments and I use them interchangeably, but I think that I prefer the Intense Repair one the most. Both of them have a really good scent [kind of musky-ish, though might be over powering for some]. They are also really thick and lovely to work with. 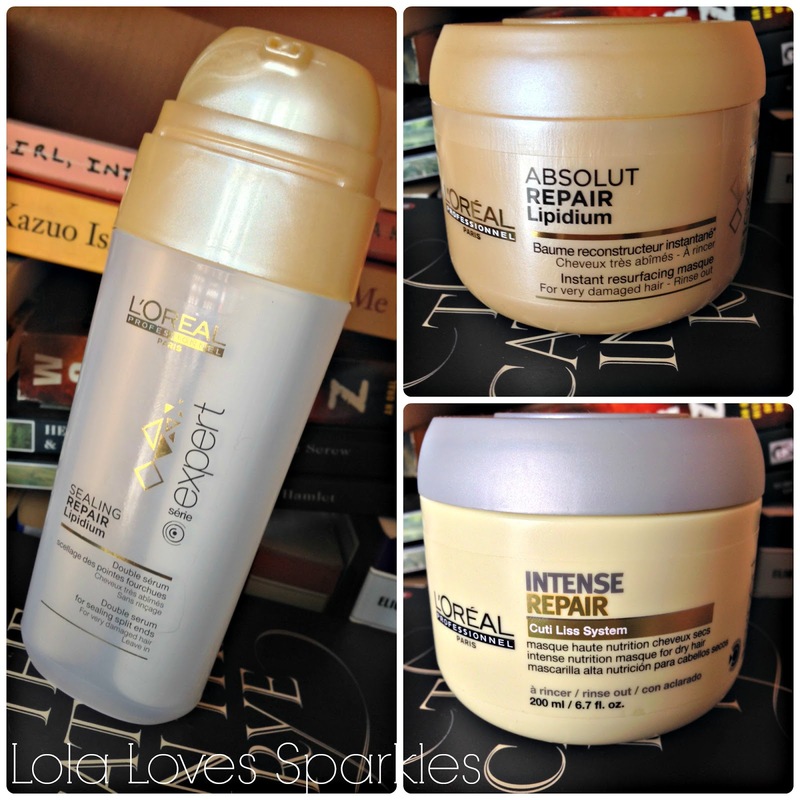 Starting with the Absolut Repair Lipidium [200ml]: This hair care line is formulated for damaged hair. Basically from what I've read, Lipids are a kind of fatty tissue which form a layer; coating the hair in order to preserve shine, health etc. Of course with colouring, heat tools, brushing etc, the hair loses these lipids, which means that your hair may end up feeling dry and damaged. "Lipidium is made up of Latic Acid that helps with cortex reconstruction, Phyto-Keratin and Ceramides that works to structure hair and Lipids that form a barrier film on hair to lock in actives and essential nutrients, which coats hair against new aggressors. This technological breakthrough masque contains the most reconstructing ingredients to replenish all hair zones and create an insulating barrier to lock in essential nutrients to restore healthy tresses." As you might well imagine, this masque is very rich compared to other ones. It is rinsed out easily and leaves my hair feeling smoother and softer. However, having said that, it does tend to weigh down my hair a bit. Like many other masques, it is important that you do not apply this to your roots, or else you will end up with oily hair in no time at all. The L'Oreal Intense Repair Masque [200ml] is formulated for dry and/or very dry hair. Similarly to the other masque, this is also jam-packed with nourishment. I find that this treatment weighs my hair less, however my hair is not left feeling as soft as with the Absolut Lipidium masque. As with the other one, it is very important to rinse this out extremely well in order to avoid build up and greasiness. When I have time, I like to leave both masques on for more than 5-10 minutes - I usually wrap my hair in a warm towel and let it chill. 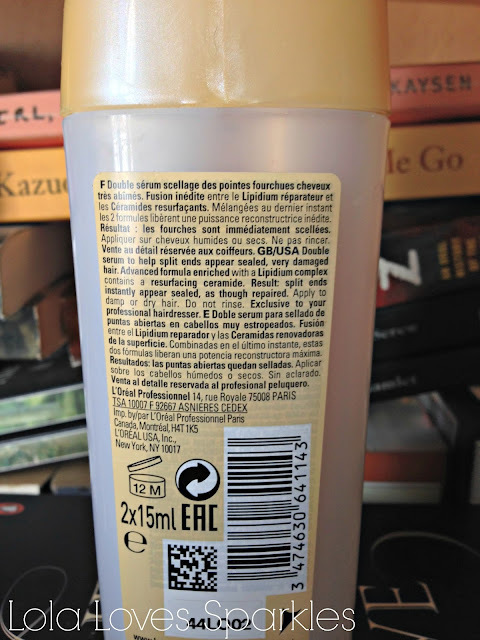 However, I find that I tend to use the Absolut Lipidium version when I'm in a hurry, and the Intense Repair when I have time to leave my hair for a longer period soaking in the masque. After using them, my hair has less visible split ends, more shine, is more manageable and less tangly too. I think that both these masques are some of the best value for money hair treatments which you can find in stores right now. From the L'Oreal Absolut Lipidium line I also have the Sealing Repair Lipidium. It is a two part serum: one tube is oily, the other one is cream based - so when you pump it out both products come out at the same time. You can use this both on damp hair or dry hair as a serum. 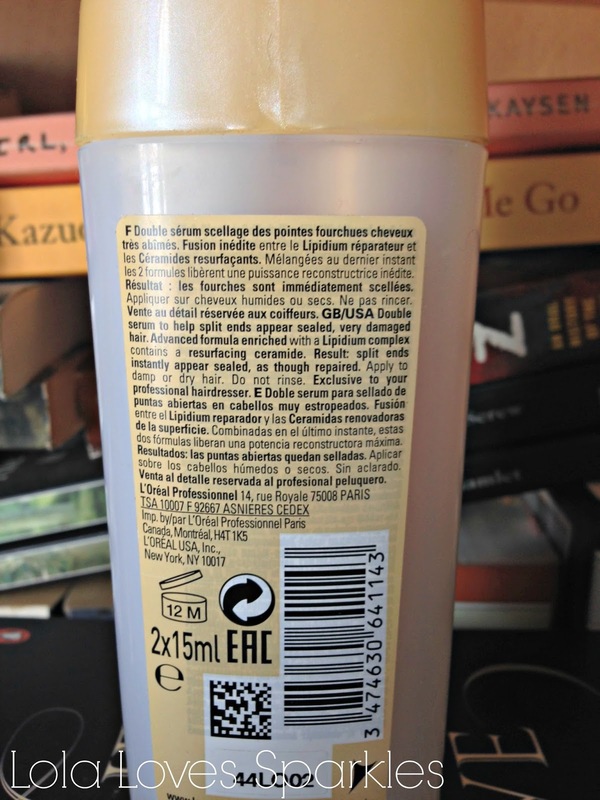 Despite having oil in it, I find that this is really well absorbed by my hair - you cannot feel it in your hair, so to speak. 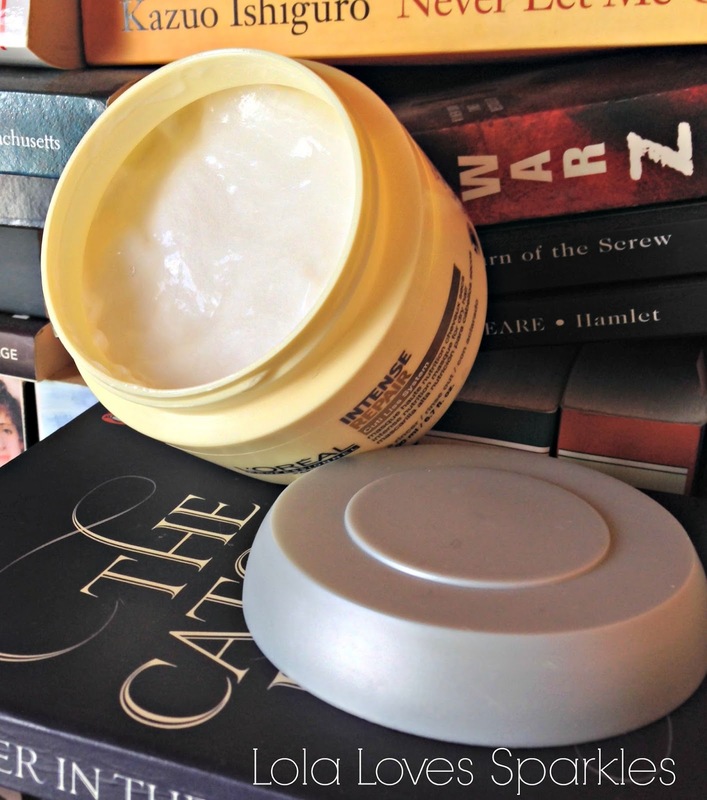 It really helps with concealing and smoothing down my split ends - and I seriously cannot live without this product. It reduces frizziness and makes my hair smoother. I like to apply this on my damp hair before drying it, and after when I've straightened it. So now tell me, what hair treatments do you use?